Description: The plate pintle allows for the weight of the hinge and shutter. 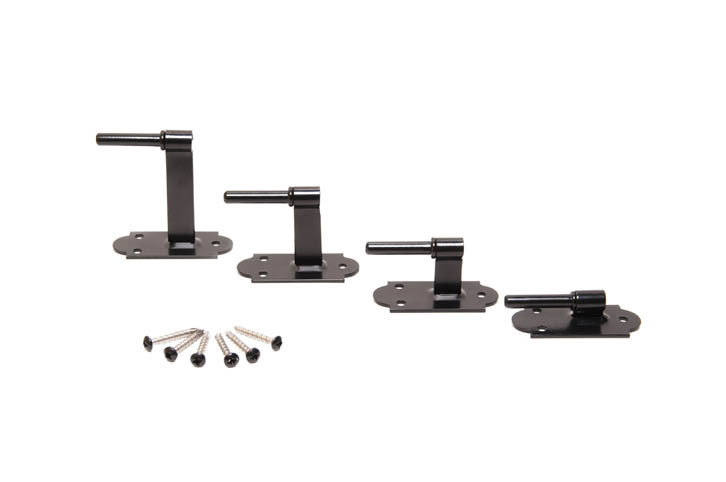 The sleeve of either the New York L style hinge or the New York strap hinge fits onto the pintle allow ing exterior shutters to be hung on structures. The plate pintle is offered in three differing offsets. The hinges are sold separately in the same offsets. By combining the offsets of the hinge and pintle, the overall desired offset can be obtained.